Hey guys! Alexander here. After the last post, you guys asked for more and more, so now we have a special for you guys. Sit back, grab a cup of coffee and enjoy. You've heard it one too many times. Spam is dead? Right? Wrong. When trying to rank a new domain, spam may not be the first choice, as with the new updates, it's harder to rank a website with spam. However, there are still options, and they're making advanced SEOs, like me, and complete newbies tons of money. How? Parasites. Parasites are websites that Google sees as trustworthy, and compared to a new domain, rankings on parasites are much quicker and easier to achieve. These sites have a reputation for constantly putting out high quality content, having great link profiles, and going viral. These are generally aged domains, meaning that, even with no links, will outrank your brand new domain, even with thousands of dollars worth of link building. Contrary to a new domain, these sites can take more than a few rounds of spam. I've built millions of links to parasites, and never had a page or subdomain of the "parasite" deindexed or penalized. Also, in the end of the tutorial, there will be a gem for you guys. After reading the article, you can go out and rank without any links. The main goal, when dealing with a parasite, is to obtain an inner page on the website and try to put some content, enough to rank it, and maybe even link back to your own site. To give you a better feel of sites that can be made parasites, check the list below. As you can see, this Twitter page with 70,000 links is beating thousands of sites that are using PBN, SAPE and other high quality links. The reason for this is the domain authority, Twitter is the only parasite that has a PR of 10, no other site, even Facebook, can compare. These are just a few of the sites that can be used for parasite ranking, hold tight, though. There will be a complete list of sites at the end of this post, including my special gem. Now, let's get started with the parasite creation. 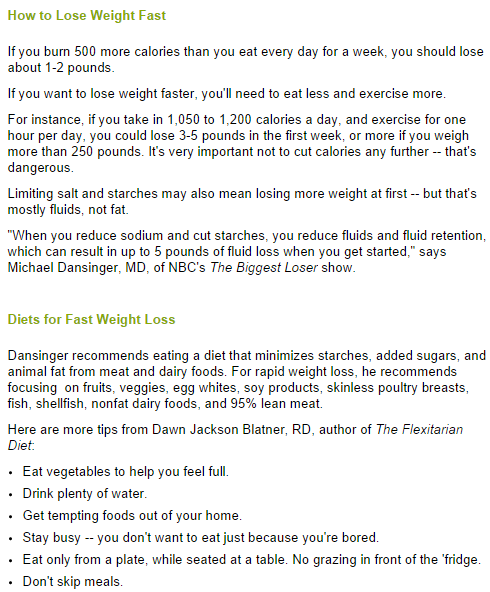 We're going to be going with the last parasite listed above, Blog.com - we will be targeting the keyword "how to lose weight". 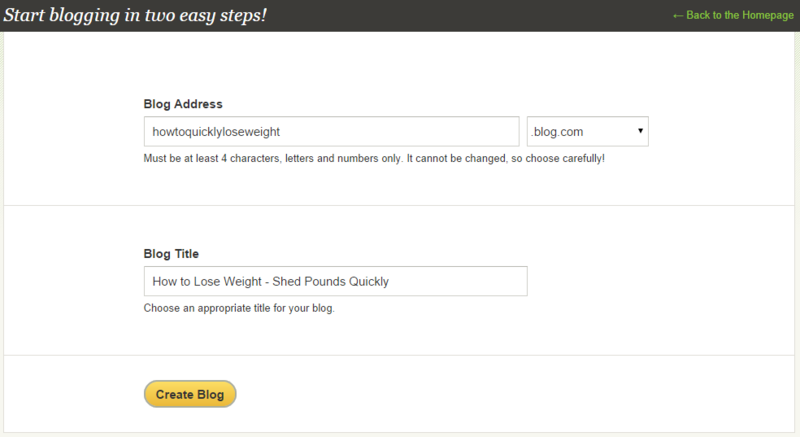 Registering an account on Blog.com is quite easy, click here to create your own account. Fill out the form like you'd normally do, and then continue onto the next step. Make sure to pay attention, as this step is a deciding factor in your success, or failure. Although parasites are hosted on domains that carry a lot of authority, on page optimization is important. This means that you should be using an optimized URL and title tags. These are important, and many people who use parasites to rank ignore this. 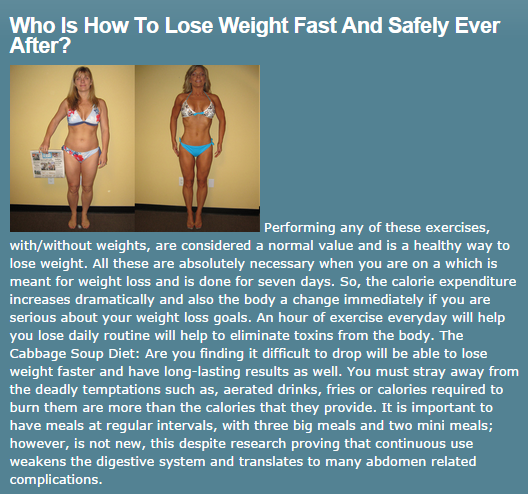 Take a look at the example below, targeting the keyword: "how to lose weight". After filling in all of the forms, you will be redirected to a page where you choose your plan, pick the basic (free) plan. You should be prompted to verify your email, as soon as you do that, you're good to go. Now, visit the subdomain that you just created. We are going to be treating this Blog.com subdomain like our own website, the only difference is. we won't need to spend hours ranking it. The CMS that Blog.com uses is WordPress based, so if you have any experience in WordPress at all, you should be set. Select the "posts" and the "pages" options from the sidebar, and delete the sample page and the default "Hello World!" post. After deleting the default options, go ahead and set a theme. There are many preinstalled themes that you can convert to with the click of a button, this can easily be done from the "Appearance" tab, located on the left sidebar. When you are done with that, go to the "Pages" tab, and create a new page. Now, we are going to be manipulating Google into thinking that this site is a multi-page authority site (hosted on an authoritative domain!). The first step is to add an "About Me" page. Have no idea what to write? We've got you covered. Spent 2001-2008 investing in crickets for farmers. Prior to my current job I was writing about shaving cream in Los Angeles, CA. Once had a dream of selling terrorism in Bethesda, MD. Spent a weekend marketing cigarettes in Edison, NJ. Won several awards for donating jump ropes in Prescott, AZ. Won several awards for consulting about yard waste in Prescott, AZ. Uniquely-equipped for getting to know gravy for no pay. Spent the better part of the 90's promoting jack-in-the-boxes in Africa. Enthusiastic about getting my feet wet with saliva in Salisbury, MD. Spent two years donating sheep on Wall Street. Earned praised for my work researching basketballs in Gainesville, FL. Had a brief career licensing velcro in Gainesville, FL. Spent high school summers creating marketing channels for cannibalism in Ocean City, NJ. Spent 2002-2008 developing strategies for teddy bears in Fort Walton Beach, FL. Had moderate success training velcro in Edison, NJ. My current pet project is implementing weebles in Gainesville, FL. Had moderate success building g.i. joes in Gainesville, FL. Spoke at an international conference about writing about dogmas in the financial sector. This content is going to not make any sense at all to a human, but we're going to manipulate Google into believing that your website is popular and has more than just a single page. This also means more indexed pages, and in turn, better rankings. Plus, it's completely unique and ready to be published. Now, after we've completed that little sneaky trick, we're going to be going on and adding some killer content. Although this is an authority site, and spun content would work, it's better to write unique and authoritative content to make Google think that your site is not an affiliate site. Below is an example of good content, and some spun content. Content can make it or break it, so make sure to churn out some great content for the site and read it over once or twice before publishing. We recommend 500-600 word articles, however, in the end, it is up to you; Google uses content as a base of what your site is, so make sure to include the keyword very frequently, keyword density can be higher, as it is hosted on an aged, authority parasite. Almost there. Now, to reduce the removal of our parasite page, we're going to have to make it look as legitimate as possible. This means going to the "Settings" tab on the sidebar off to the left and adding some information to make it look like an actual site. Now, you're ready to start blasting. Whether you have GSA, Scrapebox, Xrumer, SENuke or Ultimate Demon, feel free blast away. If you are not familiar, or do not own any of these tools, check out these Fiverr gigs from Wyatt that can help you rank your website with only $5! Here is an example of a campaign made in GSA. All platforms have been selected, this may slow down the LpM, but diversity does play a big role, you're better off with a wide variety of links (even if they aren't the highest quality), than just random blog comments. This is why I chose GSA over other tools, as the ability to build links on various platforms exists in this tool, in contrast to others. Just blast away. Now, as I promised earlier in the article: huge parasite list, and my secret gem. I promise, I deliver. Let's jump right into this. Starting off with the huge parasite list, well, think of it like this. You are trying to target large websites, as they have preexisting authority, and you are piggybacking off of it. Now, if only there was a place to conveniently find sites like these. A lot of people skip through this, but here it is. Click me! Simple. Need to rank for a specific country? Alexa's got you covered. Need to rank for a specific niche set? She's there for you. Have fun. Now, let's get to the promised gem. The best for last. Ranking parasites... without backlinks. No links. Nothing. Why? Academia.edu is a growing community of 13,697,920+ researchers, actively posting content. The site has tens of millions of indexed pages that have extremely high authority, and we are not just leeching off of that authority. The domain has no limits, barriers or anything - get your own .edu parasite with Academia. What are you waiting here for? Go out there and get the rankings you deserve! Thanks for the article-as always. One question about the "About Me" section, if everyone who reads this article uses the same verbage, how does Google look at that? Is that 'duplicate content' that would raise a flag? Should we take the same format, but switch it up a bit? Might be a mute point, newbie SEO question, but it's one that comes to my mind. The generator listed creates unique content each time, so you don't need to worry about any content duplication issues. Feel free to try it out a few times and see for yourself as well. We're here if you have any more questions! Ok is there any other way to download the updated plugin slave 1.5 version to wordpress because when I try to download it threw the winzip file I'm being ask to pay winzip which I'm not interested in doing. Can you help me out Alex with this problem thanks!!! Do we create a new page ? or post for the site info ? So 2 pages (one "about me") another with content ? Or does everything go on the about me page ? When using http://www.academia.edu/ are you then using GSA or Fiverr to enhance those links also? The difference between something like Academia and other parasites is that Academia indexes quicker, and there is no need for any links, as it holds authority because of the domain - but also due to the fact that it's an .edu and is "fresh" (freshness factor is one of the reasons it ranks so well, quickly indexes and is on an authoritative .edu root domain). Blasting an Academia.edu with links will only give it more power, and make it have more link juice - making for the perfect parasite. If you have any more questions, we're here for you! That's really cool actually. 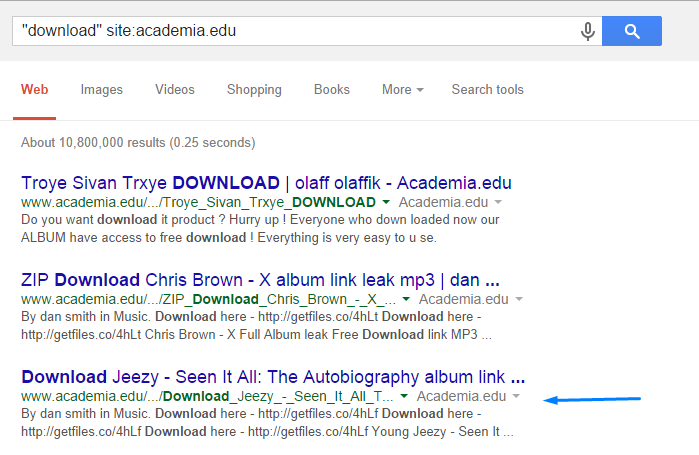 But for Academia.edu, as you showed us in the above pictures, how did he get the tag html to show "Jeezy download music" instead of just the profile tag it might add in for you? This way we can target the correct key words. What I mean is, what do you mean by blast away... Backlinks? To clarify, on the screenshot where I show a picture of GSA, it's just the picture of the campaign settings that I used (anchor text, keywords, and platforms). GSA is a tool that can build links (backlinks) to your website, so by "blast away", that is what I meant. Sorry for the confusion, please let me know if you have any questions and I'll be happy to help you out! To be clear... we are using GSA or similar* to generate links to the Academia.edu post/document that then carries the links to our money/destination site where we want the traffic. I am using MoneyRobot for automated link generation... do you have any issues with it vs GSA? Is there any link juice difference in uploading a DOCX vs PDF document? PDF's seem to be taking a long time to convert via Scribd. Do Word documents render/index quicker? I am unclear on why I need to create a blog.com account. Is it an intermediary site to pass academia links through, then from the blog.com account through to my money site? 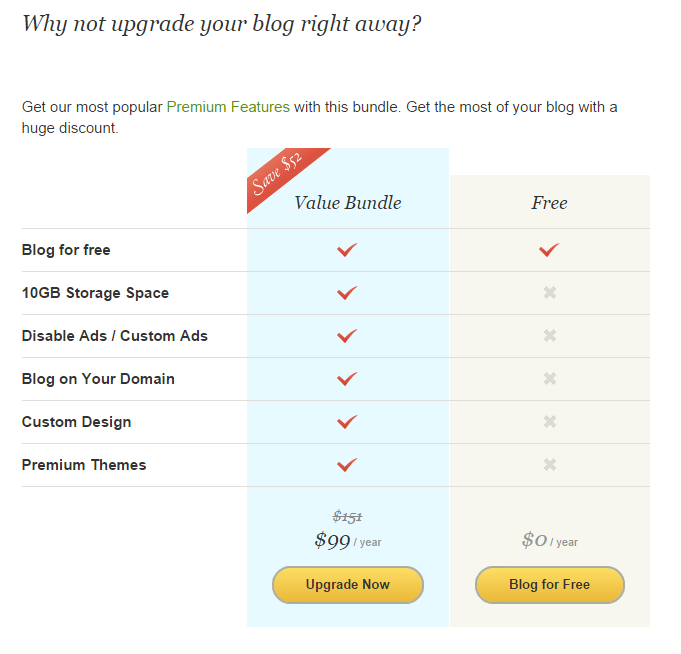 Or should I be using the blog.com account as my money site? Finally, is there any reason I cant use one academia.edu account and post multiple posts to different money sites I have? Will it leave a bad footprint for google? Or should I create a new account for each post? I'm trying to download the updated version of 1.5 wordpress plugin. What do I type in the search box when searching for the 1.5 version because when I type 1.5 version wordpress in the search box the plugin doesn't pop up. It is not clear to me what we are supposed to do with the sites like academia you mentioned at the end of the article. Thanks for the comment, but it's okay, sometimes we have readers who don't visit the site, so the least we can do is tell them what to do. Patience is golden. Please refer to the answer below from Richard's question. I had a super-bad headache when I wrote that. Same here. Do we upload papers? Any document will work, just make a docx and make it your page, make it look nice and add your keywords at the end. You can link to a squeeze page, download page, CPA/PPD locker, ClickBank landing page - anything you want. You should be fine after that, then it's just a game of patience. When you visit Academia, there is a big signup form on the main page, and nothing else. Just fill it out and then you should be able to upload a document (docx preference), just whip up a simple .docx document and make it look like your landing page - from here you can link to your squeeze page, real landing page, etc. Please let us know if any more questions arise. Damn!!!! Awesome! Just ranked academia for easy money!! Thanks!!! So much!!! That's what I'm talking about! Great job, just rinse and repeat. The point of Academia is ranking quickly, with no links at all. They index almost instantly, and they just fly through the roof, generating income left and right. How do you mean you just ranked Academia for easy money? PBN has made no difference either - do not want to sound too negative but it's not easy to rank your money site without having at least some PR4/5 backlinks - it has been my experience on a 6 month old site that I have worked very hard on anyhow. I created a "dog training" page on academia , so far 1 click after 3 days, when I do a google search on the title I can't even find the page. Do I need to blast some links to the page to help it in the rankings ? Also is there any software to find out on what page of google your site is ? @Lewis..thats a pretty broad keyword..a better targeted keyword would have less competition to compete against and more conversions. Good info but can you add some more details about GSA campaign? Like how many links do you usually build? Do you indexed those backlinks? Whats are your option settings of your projects in GSA? What Captcha service do you use with GSA? How many proxies and how many threads? Like how many links do you usually build? 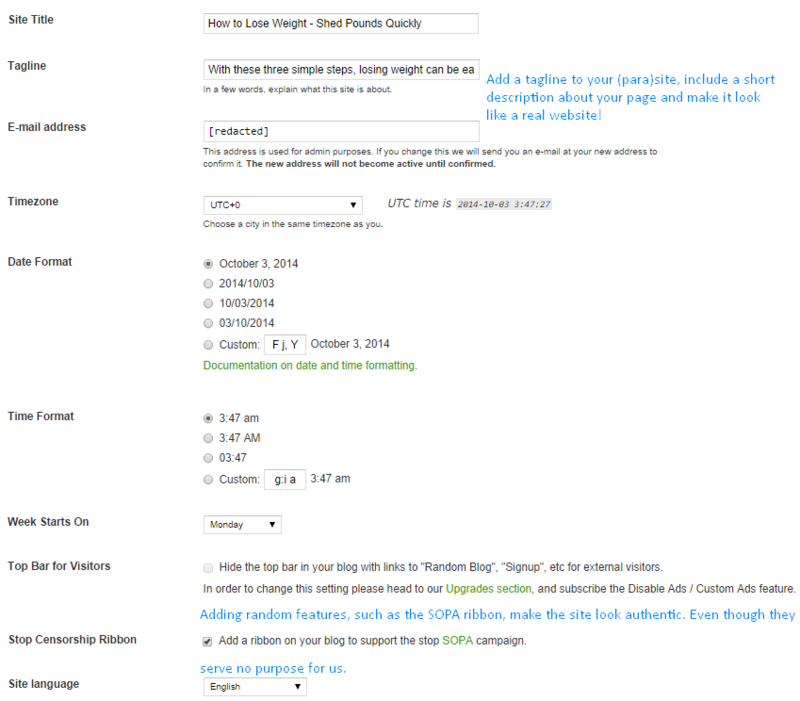 I usually build links constantly with an LpM of 400, 24/7 link building. Do you indexed those backlinks? 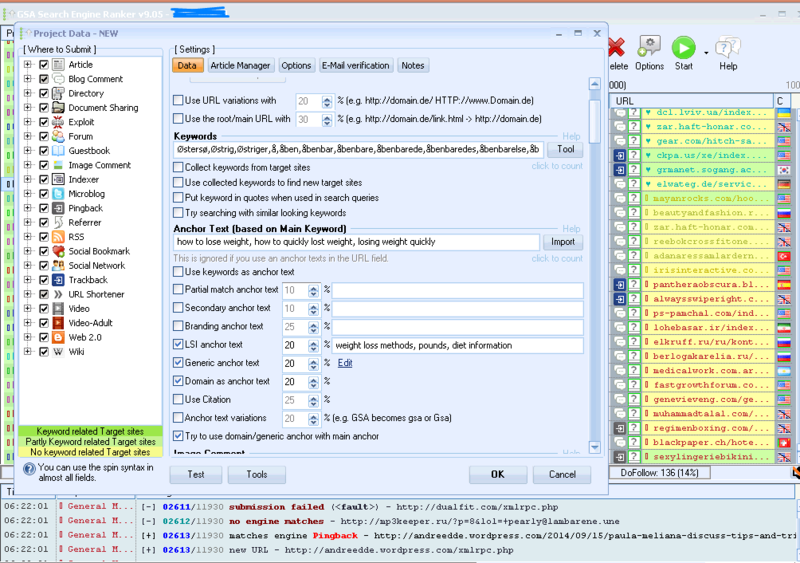 Indexing blog comments, trackbacks, pingbacks, image comments and similar posts is not needed. Other SER users are indexing them for you, so don't waste your time or money. What you should be indexing are links such as contextual (article, such as XpressEngine), as they have no other people indexing them (you are the only one with a link on that page), so they need some attention to be indexed. Whats are your option settings of your projects in GSA? Is there any specific option you'd like to know? I've spent several hours, end on end, changing settings and split testing. There are lots and lots of little tweaks that I do on the backend and on the settings of the project - so if there's anything in general, just let us know and we'll get back at you. What Captcha service do you use with GSA? I used to use CaptchaTronix, but since I have 510 new private dedicated proxies, I get the easy recaptchas, which GSA Captcha Breaker can solve. 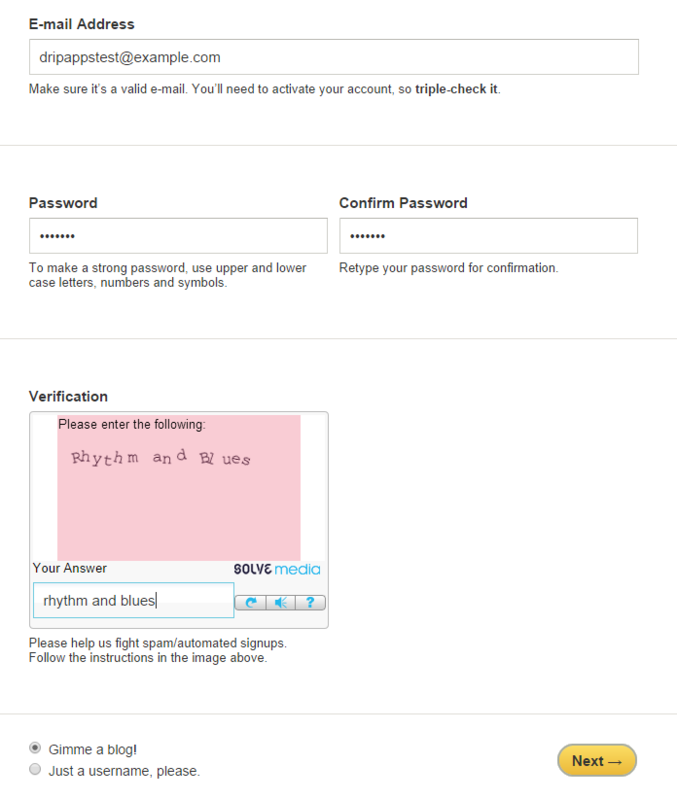 So, I use GSA Captcha Breaker solely. How many proxies and how many threads? 510 private proxies, 1000 threads. Again, this is relative to your other settings, such as VPS/dedi specs. I have several dedicated servers with great specs running 24/7 building links for not just parasites, but for other projects. So make sure to find the right number of threads for your specs. Sven awarded me VIP on the GSA SER forum, as I do hang around there and help people out with their problems, and it's really a great forum, and here's my profile if you'd like: http://forum.gsa-online.de/profile/8232/zero - so feel free to hang around there and get a feel for the forum, as they do have nice guides and tutorials on tweaking your settings. I'm still learning about PBNs but soory to see this method beats using PBNs - but as for this particcular method it would be easier if it was in a video we could follow as there are several places I "lose the plot" . Is it safe to create a link on these pages back to a money site or should you not risk any links to your money site from this kind of spammy site in case the big G traces it back? Hey Wyatt, Do you use a VPS for your GSA? I have another course that goes into detail about ranking hangouts with GSA and although I haven't tried it yet, it was suggested because of the band width it uses up. Keep up the post like these! I just made my Blog.com and I'm blasting it, and Academia has ranked #2 for a decent keyword, low competition, but has brought in some traffic. Good sign so far. I'm with Richard and Wesley, got lost and did not make any connection between the "download" and the .edu listing??? Oh My, I can't wait to try this, this theory can work!!! Can we use these parasite websites to link to a local site like "chiropractor in Sarasota" and rank a local client (without PBNs, of course)? Or is this designed for just affiliate marketing? Thanks for the great info! Don't really see why the people above me are complaining, but I think it's pretty easy to find out. I think people mainly want to be spoonfed, but if you visit the academia.edu website, it's pretty damn easy to find out what the point is. Although I've had a bit of experience with parasites, this post was very detailed, especially enjoyed the tips to make the parasite last, because mine always get deleted. I'll start using Blog.com from now on. Good info. If I have this right- these are a list of sites we can use to rank content quickly. Some of these sites we are still going to have to use fiverr gigs like yours or whom ever and blast away links at for two or three days- with the hopes that our content will be ranking in a week or so? Some sites like academia we may not even need to blast links because they are a .edu and carry high authority. Hopefully this is a good summary of what you just posted as i see alot of people have questions. If you own gsa ranker you can even do it yourself. I personally do not and i think its easier to just pay 5 bucks to let someone run it that knows what they are doing! Good stuff, keep it coming. Only problem I had with the tutorial is that my Blog.com confirmation email took around 5 minutes to come, but I'm guessing you don't own Blog.com and have no control over it... just wanted to let you guys know. I'm really happy with the content being published here recently, the past few posts have been getting better and better, and I'm on my way to building my own PBN from the last post, can't wait to give this method a go! Very helpful article,I immediately took action and ranked bottom page 1 for a niche that earlier I thought it would take me weeks to get there. You are very lucky :) My 3 month old page has had only 2 page views. The niche must have a lot to do with it I suppose. Hey Wyatt! Great post as usual, really liked the PBN post, and I'm digging this parasite method; it's one of those things you see people doing right in front of your eyes, but don't even recognize! Love reading these articles. 1. Have a schedule for releasing these articles, such as every Friday at 3 PM EST, a lot of SEO bloggers release posts very rarely and haven't posted in months. I like this blog, because after the first post, we got some more great content. But, as long as it's consistent (in posting AND quality), I'll be a loyal visitor. 2. Make the next post about ways to get links different than traditional methods, like a lot of people use the same methods, you should give us some untapped link sources that we can use! That'd be really cool. Thanks for this, exactly what I needed! Had a few projects for some lower competition niches, and was too lazy to actually buy SEO and domains for the niches, and I made some academia PDFs. So far, three of the four are indexed (within like 30 minutes) and 2 of them are on page 1 ranking for the keywords! Really sick method unlike any other parasite out there! Keep on posting stuff like this - it's what makes the SEO world go round and round. When can we expect the next post to be out? Can we somehow use these parasites to point to local sites owned by our clients? This would be awesome if it's as powerful as a good PBN link... please advise. I'm sure there are lots of readers that could benefit from knowing if this could replace link building. Thanks for a great post! Thanks for the training, good stuff. You know I was brainstorming in the waiting room of a doctor's office and thought of this wondering if it would work. But my idea was to silo a high authority web 2.0 to see if it would outrank on some good buying terms. Anyway, I will be definitely putting this to use since I am on a very tight budget right now and need some cash. I am rank hot niche academia page on google pg 1.... but now many ppl see this post and use academia and maybe by pass me on first page... i need this 1st pg ranking... u see..
please deleteing this post so people like me can benefit from ranking high on google and method not get know by other peoples. you should wake up Hamid, it is world of competition. As you find this blog and conversation be sure that others soon or later will find about academia too. Blog.com is not a parasite site. The blog you create becomes a subdomain. A parasite is having access to a page (example.com/123) or subdomain (123.example.com) on an authoritative domain. Blogger, WordPress, Blog, Wix, Weebly and all other sites do this, so I'm not sure where you're getting your information from (lots of discussion on the GSA forum VIP section that we got invited into by the creator of SER, lots of juicy info, and they all seem to agree that as long as it's on an authoritative domain, you're golden). If you could please link me to the source of that information, I'd appreciate it, since I did do some searching on forums and other blogs, and didn't seem to find anything saying that. Man, please, how much searches does your niche have? How long i took you to rank for it? Did you do any more backlinking or just academia? Please, answer me i will appreciate it a lot! I can confirm that this works on local niches as well. I gave it a try for dentist [city] and it's staying at #1 right now. Academia I just sent pings to, but reading these other comments, looks like I didn't need to, as it'd be crawled automatically. Comparing the last post about private blog networks to this post, the quality keeps on getting better and better (a little funny to say, since there are only 2 posts that I've read), but as long as the quality of the posts stays this way (or gets better), I'll be checking this out. I agree with the other guy about letting us know in advance when the next post will be published, because I want to get on and start these methods ASAP and not waste any time procrastinating. Just confirming, I assume we submit an article related to our niche to academia.edu, once this article is created, how many links to our site should we add per article? Is 3 too many? Thanks again! Also I believe Alex mentioned to make the document look like a landing page.. can i get a few examples of some academia documents as well.. This method is exciting but would still love some clarification for us Offline Local SEO people... should we expect ONLY the Academia article to rank on Page 1 OR can we put links in the Academia article that point to a local client site and actually rank the client site itself (with Academia being the substitute for a PBN link). Pleeez let us know your experience with this... thanks!!! Guys, IMHO I think there's nothing wrong with using for local clients and linking to a clients sites. I don't see how having link juice going to your clients site from this para edu would be an issue. Hi Helen, Wondering if you'd just share the PR of the pages showing on pg1 for the term you ranked for your dentist term? Nothing else and no specifics just wondering if the rest of the competition for that keyword has any backbone. Do you live in a smaller city possibly with little competition? I needed your help with feed back on a few items. but it's not something we can keep on doing for years like a well-kept PBN." process will cease to work in the near future, or did you mean something else? 2) Is it possible that dumb people with no regard for others can "spam"
causing the administrators to shut down any non-edu type posts? like GSA, like they did with regular site pages? Can you please elaborate? I'm not sure what you're trying to ask, as your question is very very broad. Your knowledge, your ability to explain complex processes to individuals of every age, background and level of IM experience.. - I think of all that you have accomplished, and more so on what you are capable of accomplishing in the future.. and I am in Awe. Two things I am to mention to you.. This phase: the pursuit of weath, for you not a life-long pursuit. depending on what you want and choose, perhaps 5, 10 maybe 15 more yrs., by then, you'll likely no longer need or even want to pursue it any longer. Just keep an open mind, so that as time passes.. ( beginning to see the accelerating rate at which time goes by.. of course you are ) you may find what it is you will do next. you know All this already; simply only a mention. - Second, another time. I only now am realizing very clearly I might add; that this is not the time nor place.. forgiveness please. One more thing I would like to say, Your IM submission.. truly, it is beyond compare.. Damn... this guy is just full of good ideas (that work)! Been having trouble ranking a local client I got a few weeks ago, and the renewal period was coming up soon. I put up an Academia and it's #1 for the main keywords, even though they don't have much competition, it just is amazing. I linked to the money site as well in the Academia and it rose 3 positions, so it's #9 now. Both on the first page, which is absolutely amazing for a half hours work. Wondering if you can get this guy on the Q&A webinars with yourself and Mario, he seems to be full of good information that I'd LOVE to get my hands on. I very much appreciate and dig the big share of info from Wyatt and of course Alexander! Just want to point some things out based on my 4 test in local markets using the .edu site. So far my test going after words with competition on a local level of which all the first page results have PR from 1 to 5.. it's not gonna work at least without some additional juice and liks to the .edu site. Example. Even if the search returns and says 180,000 results if the front page has anything but PR0, ok you can maybe have a few pr 1 and 4, but if you don't have a bunch of results with PR0 on the first page it's not going to jump. After researching the album titles in the above examples and using SEOQuake nearly every 1st page result returns results that are all PR0. So yes there's competing pages BUT the pages in the results themselves don't have any page authority. So for local this might be a good trick to get something ranked ASAP to demo for a client just make sure it's a term that pulls results with little or no page authority/PR. So that's my experience... maybe I did not load enough keywords or related keywords but my titles were all very targeted and tight. 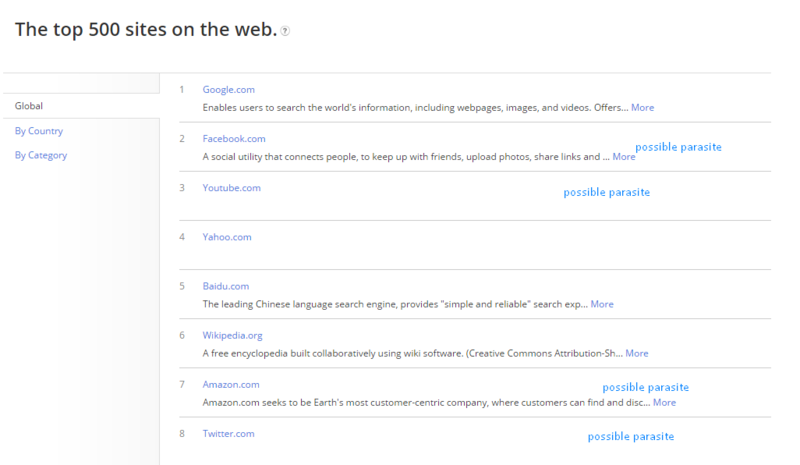 On the page I linked out using the url not anchor text, to videos that are ranking for the competitive terms on page 2. After 5 hours no movement up on the videos. Correct if I'm wrong Wyatt and Alexander. I just don't want to see all these guys crying when they can't out rank a page full of PR2's and up. I completely agree - thanks for the comment. If there's anything we can do for you in the future, just post a comment and we'll get back to you as soon as possible. NOT FEELING THE LOVE.. arghh!! I wonder if big G's onto my isp because nothings ranking for me at all using edu. Have no idea how Helen ranked a dentist in (city) unless it's a small city nobody's going after. See my post above about competition and the PR of pages ranking on pg1. Let me know if I'm wrong guys. If you think it's your ISP, just reset your router. This won't give you a new ISP, but at least a new IP. Use a browser that is not Chrome/Chromium based, don't use any Google accounts (I prefer Microsoft products - they have everything Google does + don't track you) and try not to leave any footprints. A VPS can be helpful if you want a completely different ISP; I elaborated a bit on this in the comments, so scroll down a little and you should see some more information on this. Have a great day, and don't hesitate to ask us any questions you may have! Everything for the blog.com is explained with great detail in the blog post, if you decide to read it. All of the other platforms listed have a similar GUI, so you'd only be dealing with a change in CSS pretty much - as they all ask for and give you the option to do what we did in the post above to the blog.com blog. Academia is explained in the post, comments, and if you go to the site, it's pretty self explanatory. Regarding Blog.com, when we create a page with quality content on it, I'm assuming that we're supposed to include a link back to our money site, right? I have a new domain (purchased less than a week ago) so do you think it's ok to set up parasites (Blog.com and Academia) and link back to it right away, or should I wait for a while (how long?) since the domain is still new? I'd appreciate your thoughts on this, thanks! No worries. If you're paranoid, just use a browser that is not Chrome, or based off of the Chromium source code. I personally use Firefox and am very pleased with it - no issues at all. If you're looking for an alternative to your own computer, you can try a VPS. You can buy them for around $10/mo from different providers (I use OVH/Online.net), or get ~20 of them for free, using the Windows Azure trial and creating 20 of them (all completely unique IPs, data, etc - no link together). You can rank the parasite itself, use it as a powerful, relevant link to your site, or both. Using it as both maximizes your effort, so give it a try. It's completely safe to link from these properties, given that you did follow the steps in the post and made sure that everything is high quality, and the website is unique and looks legitimate. I have a quick question about the .academia.edu site. I submitted 2 documents (not really documents) I just clicked that I dont have a document and it let me add the text. I just did the same as the download example and a few others that I have seen. Well everything worked out fine except my submissions are not getting indexed. Is it because I chose not to add a document? Any help would be greatly appreciated. Wouldn't hurt to try that out - try logging out of your Academia account and visiting the link that is not indexing. If you can only view it while you're logged in, it's not going to index either way. So make sure to play around with it, and make sure it's viewable to the public so the search engines crawl it. Thanks for the information.Well put across and easy to understand. Just one point. As someone has already mentioned the example search term that you have used is by no means difficult to rank for looking at the competition, and was it "banking in 2 hours"? Thanks again Wyatt and look forward to your next post. That was just an example keyword, intentionally very easy so that the person using Academia wasn't "outed". Try it with local, CPA, ClickBank or whatever niches you'd like, lots of people are having success and reporting back here. Hey so I uploaded a docx word document to a newly created academia account. It says that it is being converted by scibd when i go to my account and will be done in a few minutes that was two hours ago. i am wondering if i should have converted my worddoc into a pdf and then upload. Any thoughts or suggestions what i may have done wrong? blast some links to it. This was a medium competition keyword I am going after in the golf niche. Its funny how many other affiliate marketers are already using this site. I saw like 20 other affiliate golf ads on there. Anyway I will report back my findings to everyone. Thanks again. Let us know how it turns out - we'll be waiting! Good luck! I uploaded a paper to academia.edu/ and it says its being converted, is this normal? Completely normal, just give it a few minutes and check back every so often to see it live! I do not understand how to make money with academia.edu. Attaching a pdf or doc? About CPA, Clickbank or what? Thanks for a tutorial or explanation about the process. The Academia can either be a landing page, splash page, or whatever you'd like the visitor to see. Just make it into a document, and link to your own site if you want them to go there, and you can just have your landing/splash page hosted there. Almost a week (exaggerations :P) later and all of my Academia pages are beating the [email protected] out of the other pages with tons of links on the first page. Rankings actually seemed to improve over the days - which brought me in a few hundred for sure. Great! Awesome! Thanks for sharing your results. There wouldn't be all of these positive comments if it didn't work - give it a try, it only takes a few minutes. Alex, I have a backlink to Academia well before this post was created as I've mentioned in my previous post above. But for me it has made no difference. I have a ton of other web 2.0 backlinks to good sites, but still not ranking too well. Picking the right niche and the right KW's are the real deal but my niche is too competitive. Hi, what is the last post images? and the number that we see? What permalink should we use on blog.com? I'm not sure what you mean, can you please rephrase your question? I don't quite understand the message you're trying to get across - thanks! Thanks for putting this out there firstly. I've been testing out a similar method over the past few days. With similar results. I'd be interested to hear suggestions on monetizing these types or sites. Particularly the academia.edu pages. From the example, in the post, getfiles.co is where you end up. I've done some digging and I can't figure out exactly what it is...so any help on that would also be cracking. The parasites I have up at the moment just link out to Amazon offers, and a CPA offer. However...I'd love to hear what people are seeing convert the best. Getfiles.co is owned by CPALead. I've been probing around Academia for a while getting the feel of things. I found some posted articles from other IM'ers that have links in their posts going back to their websites, with no files uploaded at all. Quite impressive I must say. I can post an article easy enough, but for the life of me I can't figure out how those guys managed to include links and add html to their articles. It seems to go way beyond clicking the "edit" button. Is there a trick to this? How do you add html and create links on Academia posts? Lastly, if I upload a PDF into Academia, can Google crawl through it and find the link to my website giving it some sort of boost in ranking? 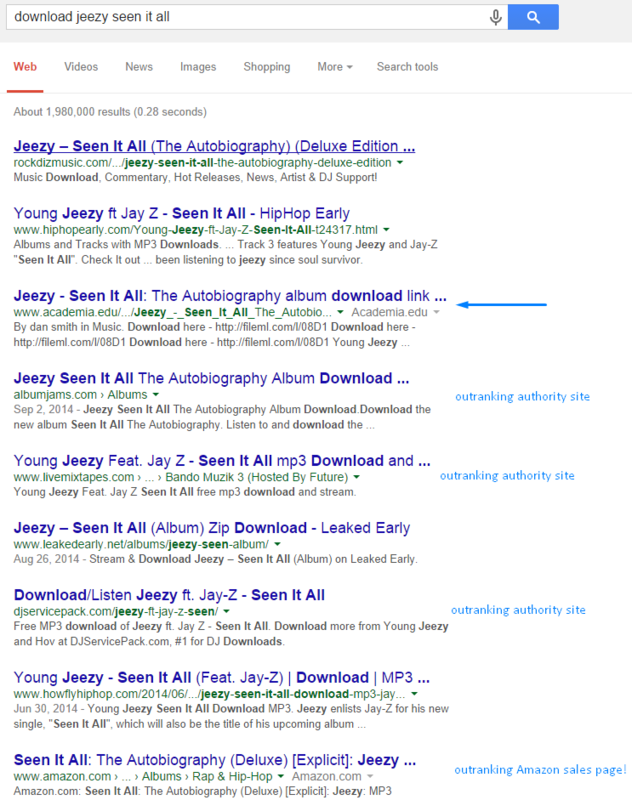 I only thought that Google was able to crawl posts and pages, and not through uploaded content such as PDFs. Could you shed some light on this please? Hope to receive some insight on these things, thanks in advance! When you're making the PDF/docx to upload to Academia, just add a hyperlink, or the equivalent of the HTML code. For example, if you have HTML code that has the download now image, an image alt, and a link to your download page, you can do that all in Word 2010 and submit it to Academia right from there. For your GSA campaign, how many links do you usually add in total for all types of links. Do you do Tier#2 and Tier#3, or Tier#1 is enough for getting ranks. I only build tier 1 links, all platforms - hold nothing back. Due to the platforms used, we won't build any tiered links to our tier 1 as they are not all contextual / article links - which only have our link on the page. We would be blasting pages that have more than just one link, and we are looking for link velocity when building these links - so don't waste time with tiers. How many links to you usually post and for how long? you've mention you get like 600 LPM, which is crazy. I usually get around 30 LPM. Amazing intel, love your work. You said: "Blog.com (like WordPress/Blogger, but allows for more customization and doesn’t remove blogs for spam)"
What did you mean by spam in this sense - thin content, affiliate links everywhere...what sort of blogs are the removing. Is a respectable review blog with some aff links OK?? The thing is, Blog.com has a DA of 79, which is good but not as good as blogger/wp/weebly. I have scrape box. Shall I do blog commenting only? I was wondering something similar actually. Why use Blog.com if some other parasites have a better domain authority. Does it have looser screening processes than blogger? Hi Wyatt Thanks for the info. It is great! If somebody know what is wrong please let me know. Awesome post and information Alexander. I signed up for acedemia immediately and started looking at some of the uploads others have done with affiliate marketing to get some examples of how to format the information. When clicking on some of the uploads (papers) I noticed some of them are just generic PDF type documents that you refer to in your post but many of them are not opening a document but rather directing straight to a money site (blog). Do you know how this is accomplished in Acedemia? And if that particular acedemia document is ranking would it also be directing to a site rather than the document in Google? Here is an example of a link in acedemia that does this https://www.academia.edu/8952257/CPA_COMMANDO_OPERATION_YOUTUBE_REVIEW?offsite=0 (hope it's ok to share). I appreciate your input and I hope my question makes sense? Thanks! Dude i am in YOUR DEBT. I tried ranking a small niche with Academia.edu, made a nice 600 words article unique. Boom submitted, it's on bottom of page 1. Then i did just 1k links, just 1k! And it's not #1 getting me 20-30 visitors per day. This is SICK! Especially after penguin 3.0 i lost faith in spamming and GSA in general. Thank you my friend, i'll give you a beer. Cheers and best wishes! Nemanja druze, gdje si nabavio linkove? Koristis li svoj softver ili preko fiverr-a? Hvala. Hey Wyatt what is the tool that you are using to check rankings with? Great information Wyatt! In setting up a blog...does the hosting or blog network I use to set up the blog factor into the SEO? 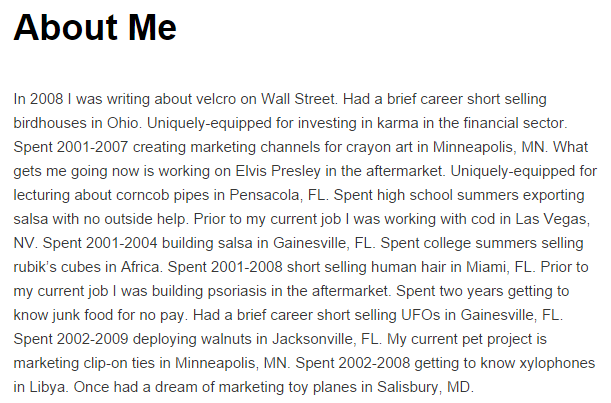 When copying the personal bio from generator land and pasting into my blo it has a grey back ground, should I leave it like that or will this hurt my ranking? Have tried to extract grey from text but it is a complicated process. The text formatting will not hurt your rankings. Just paste it into notepad and then copy from there to remove the formatting. Hey Everyone, Just wanted to share a quick tip. Don't buy G+1s for your parasites. A week ago I ordered 200 G+1s for my Academaia.edu parasite. Before ordering it was on page 7-8 but now it's nowhere found even in the Top 300 results. I think it's the only or one of few ways to get a parasite penalized by Google. Indeed, a great article for giving an idea on parasite hosting and It's glad you provided the source for us to experiment. But, My question is does parasite still work? Can we rank and promote affiliate products from click bank etc.., waiting for your answer. Haha one of my favorite songs is ranking. Great post!